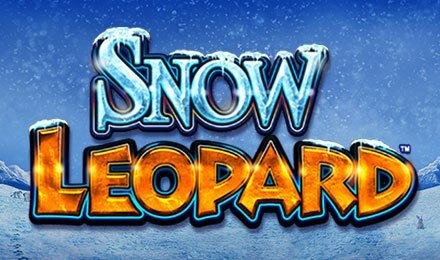 Start playing Snow Leopard slot which allows you to enjoy the game by setting your stakes on the Bet Field. When you’re done, click on the “Spin” button to get the game started. Autoplay is at hand, and you can use this game option to play the game hands free! Amount of Paylines Selection: All paylines are fixed and cannot be adjusted. Coin Values: Bet values range from £0.10 to £500.00. The wild symbol takes form of the Snow Leopard itself, and replaces other symbols except for the scatter. The scatter symbol is the Three Paw Prints, which triggers the Free Spins Feature. Line up three, four or five Paw Print symbols anywhere in view and earn up to 100 free spins to put to play! Landing more scatter symbols during the play of the feature retriggers the feature, resulting in extra spins. £20.00 Big Bet: No extra features. £30.00 Big Bet: 2x multiplier wilds. £40.00 Big Bet: 2x/3x wild multipliers. £50.00 Big Bet: 2x/3x/4x/5x wild multipliers. 9, 10 and J (low value) symbols are removed from the reels.